It isn’t quite time to grab ingredients for spring cocktails, but these classic cocktail recipes are here to get you through these cold nights. Rediscover the martini, manhattan, and mojito. Add your own twists to these classic recipes and let us know how your improved them! You could also let someone else make the drinks. Schedule a pub crawl with us and let the best bartenders in Downtown Las Vegas make the cocktails for you! 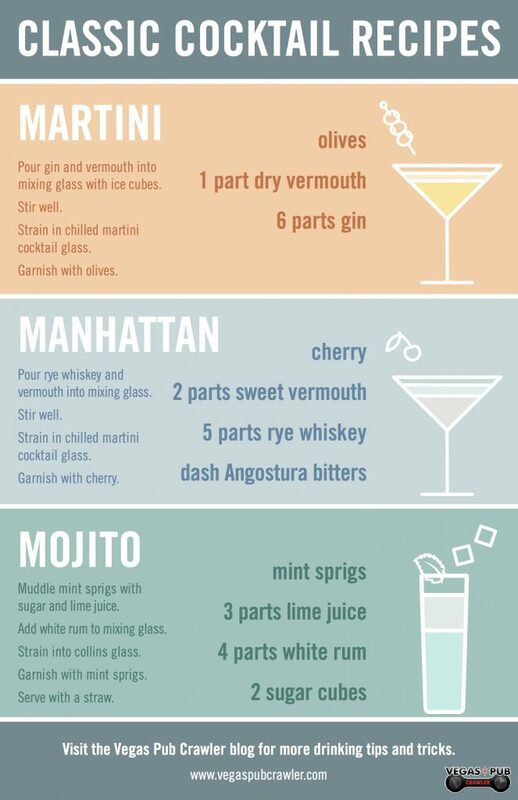 Our guides know where to find the martini with the perfect amount of olive juice, the manhattan with an extra cherry, and the mojito with the best white rum. Check availability and book your crawl now!